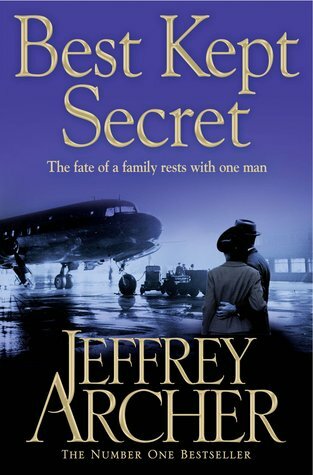 This book is by one of my favorite authors, Mr. Jeffrey Archer. ‘How did it all go?’ were the first words Daphne uttered as she entered the drawing room, a little surprised to find her friend sitting in the dark. ‘But did you accept?’ asked Daphne. She's a little vague on the matter! Uh oh! That doesn't necessarily sound good. Hopefully things will end up resolved, one way or another! I sense an eternal triangle situation coming on. This conversation brings to mind The Importance of Being Earnest for some reason. I love Jeffrey Archer's works. As the crow flies is one of my favorites. Ha! I am pretty sure I would know if I just got engaged! Ooooh. Intriguing teaser! I sense a love triangle. :) As the crow flies sounds like an ineresting book. Enjoy reading! LOL - I love the idea of ending up engaged when you didn't mean to, so hilarious! This is one I'd like to read! Ah! This teaser makes me want to know what's happening. Good pick. :) And I love how she sounds unsure of whether she accepted the proposal - "I rather think I did."